experts have been featured this week! In the second segment of Source One Consultant Torey Guingrich's two part series, she continues to explain how important it is to properly frame questions with IT to most effectively determine if third party maintenance is an option for your organization. In her previous post she focused on the most crucial questions to ask about the Application Lifecycle. This next post focuses on the value from support, level of customization, and level or response. When the response to these questions are taken into consideration, third party maintenance providers may or may not be the best option even if they offer considerable cost reduction. We are just about two weeks away from traveling down to Orlando, Florida for the Institute for Supply Management's annual international conference. Along with over 2,500 supply chain professionals from around the world, the Source One team will attend ISM2017 for four days of educational presentations, informative sessions, and a variety of networking opportunities. The agenda includes experiences for professionals at every stage of their career, including exclusive sub-conference ExecIn offered for supply management leaders who act as decision makers in their organizations. Source One is featured as the exclusive sponsors of Exec In, where they will offer an experience for this select audience of ISM2017, that includes sessions directed towards planning ahead for the future of procurement in their organization. This opportunity to discuss the future of procurement with other industry experts has the Source One team excited to attendee the supply chain event of the year. This summer, Corporate United will be hosting a series of events across the country for supply chain professionals in a variety of regional areas to attend on their Road to SYNERGY events. To kick off the event series, Corporate United will invite industry experts in the Baltimore, MD area to participate in a one day conference on June 6th! These meetings will not only bring together local supply chain professionals, they will also provide an opportunity to collaborate on hot topics in their field and learn more about what their colleagues see for the future of supply chain. While the audience has the chance to exchange insights, they can also anticipate informative sessions from industry leaders that are sure to offer valuable takeaways. 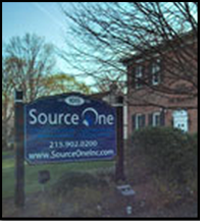 After the Baltimore event, Corporate United and Source One will get back on the Road to SYNERGY to head to Dallas, TX for their next regional meeting. Originally scheduled for the end of March but canceled due to Snow Storm Stella, ISM New York's annual Risk Management conference has been rescheduled for June 14th. Attendees can still anticipate the schedule as planned, and the audience will look forward to all the original focused sessions that were planned for the March event. Along with a variety of presentations that cover industry trends, the line up includes featured speakers that are procurement and supply chain experts who will share their valuable insights and expectations for the industry in 2017. This one-day conference is an ideal opportunity for procurement professionals in the New York area to regroup after the international event in Orlando just one month before. Source One's procurement and supply chain experts are looking forward to ISM NY's Risk Management conference as an opportunity to collaborate with other professionals in the area. First Stop On The Road to SYNERGY: Baltimore, MD! Telco Consolidation Part I – Less is More? Pulp and Paper Prices on the Rise Again?